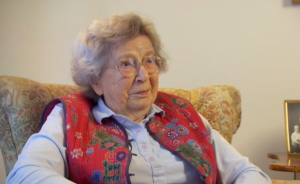 Children’s literature trailblazer Beverly Cleary turns 100 today. Born in rural Oregon in 1916, Cleary has penned more than 40 books including the beloved Ramona and Henry Huggins series, inspiring fans that range from fellow children’s authors Judy Blume and Kate DiCamillo to Lin-Manuel Miranda. 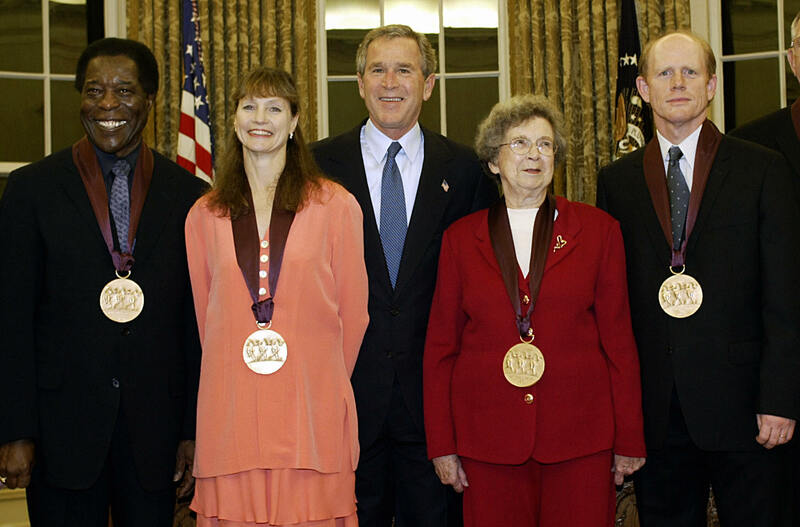 Cleary has been awarded numerous honors throughout her life, including the Library of Congress “Living Legend” award, which she received in 2000, and sold more than 85 million copies of her books, leaving an indelible mark on children’s literature. Now, take a closer look at the life of the author who made us laugh with Henry Huggins, Ramona Quimby and Ralph S. Mouse. 1. Growing up, she had no access to a public library. Prior to attending school, Cleary spent time on her family’s farm in Yamhill, Oregon, a rural town that lacked a library. Cleary’s mother contacted the state library and ordered books to Yamhill. With those books, she established a makeshift library above a bank and acted as its librarian. 2. Cleary started out as a poor reader. Cleary moved to Portland to start grade school, but “city life was a shock,” she told the Washington Post. She almost flunked out of the first grade, where her teacher would punish her for daydreaming. She thought, “My mother always read to me, so why should I learn to read?” With the encouragement of a local librarian, Cleary improved her reading skills and was bumped up from the lowest reading bracket in third grade. 3. While in school, she worked as a seamstress and chambermaid. Cleary began her college career at Chaffey Junior College, which had free tuition, during the Great Depression. She would go on to continue her studies at the University of California-Berkeley, eventually receiving a Masters in Library Sciences from the University of Washington. In order to pay for her education after junior college, Cleary worked a number of odd jobs including as a seamstress and chambermaid. 4. She wrote “Henry Huggins” for a young boy in Yakima, Washington. Her publisher initially rejected the book, then titled “Henry Huggins and Spareribs,” but accepted it after Cleary changed “Spareribs” to “Ribsy” and added the characters Beezus and Ramona. 5. She created her most famous character by accident. Originally, Cleary wrote Ramona as a little sister to one of her main characters. As she was writing, she overheard a neighbor call out the name “Ramona” nearby and inserted it into the book. She based the character off a young neighbor who “was considered rather impossible,” she told PBS. 6. Cleary used plots from her fan letters. Cleary featured her readers’ life experiences in her books. Drop Everything and Read, a yearly educational event that schools celebrate on the author’s birthday, appeared in the Ramona series after Cleary received a fan letter from a young student who enjoyed the program. After receiving a letter from two boys who asked her to write about divorce, Cleary penned “Dear Mr. Henshaw,” which went on to win the Newbery Medal in 1984. 7. Ramona’s flaws were Cleary’s favorite thing about her. Cleary was exasperated by children’s books that aimed to teach children obedience. In contrast, she wrote Ramona as a character who “does not learn to be a better girl,” she told PBS.